Megan was born in Wheeling, West Virginia. She attended St. Clairsville High School and is currently living in the Ohio Valley with her husband Bobby and two children. April started in the dental field in 2003 as a dental assistant. In 2013 April moved into the reception position with Family Dentistry. April lives in Bellaire with her husband, Shawn, and sons Jared and Cole. Roxanne has been working in the dental field since 1981. In 1986, Roxanne was employed by Family Dentistry after moving from Atlanta, Georgia back to the Ohio Valley. Presently, Roxanne is employed as the office manager and front desk organizer. Roxanne lives in Yorkville with her husband, Rich, and their two daughters, Kara and Kylie. Nicolette graduated from West Liberty Dental hygiene program in 2004. Nicolette was first employed by Family Dentistry in 2007. Nicolette is married and a mother of two children. She enjoys photography, crafting, and long walks on the beach. Jamie graduated from the West Liberty Dental Hygiene program in 1995. She has been practicing dental hygiene since 1996. Jamie was raised in Shadyside, Ohio, and resides there with her husband and two daughters. Shannon is a 1999 graduate of West Liberty State College with a degree in Dental Hygiene. She resides in Powhatan Point with her husband, Jeremy and twin daughters, Maggie and Addie. She enjoys living by the Ohio River, boating and Kayaking! Kim is a lifelong resident of the Ohio Valley graduating from Bellaire High School and the dental assisting program at Belmont Career Center in 1981. Kim attended Youngstown State University where she received a dental hygiene degree in 1984 and a B.A. in Allied Health in 1986. For the last thirty years Kim has been practicing Dental Hygiene. Her favorite thing in life is being a grandma! Tabitha originally from the Philadelphia area, moved to Wheeling in 1992 where she currently resides with her nine year old son. 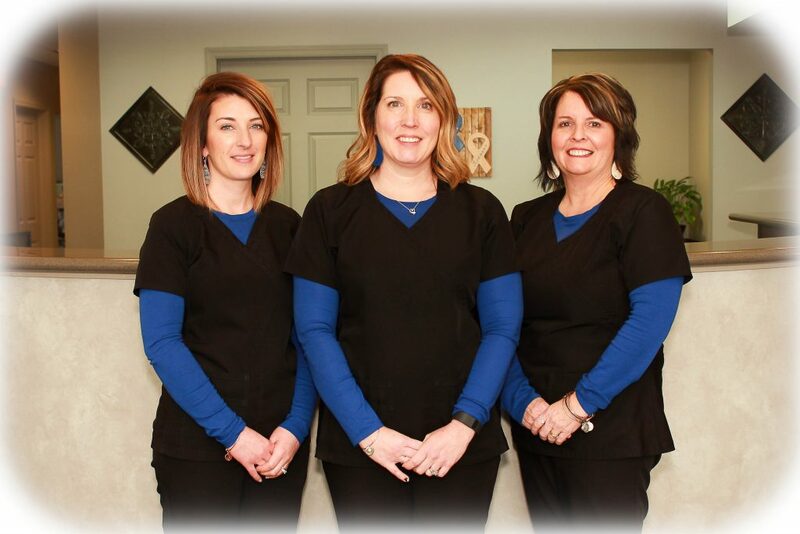 Tabitha attended West Liberty School of Dental Hygiene from 1996 to 2001 and received an associates of Dental Hygiene and a Bachelor of Science degree. Tabitha has been employed by Family Dentistry since July of 2001. Julie is a graduate of West Liberty State College with a degree in Dental Hygiene. She resides in St. Clairsville with her husband, Ed and children, Kira, Trent and Trey. She enjoys spending time with family, reading and fitness. Mary is a lifelong resident of the Ohio Valley where she and her husband Phil have raised two children, Brittany and Ryan. She is a graduate of Shadyside High School and a 1988 graduate of West Liberty University with a degree in Dental Hygiene. When not working, Mary enjoys spending time with her four grand-children. Mel began her dental assisting career in 1984. Melodee has been a member of the Family Dentistry staff since 2010. She resides just outside of the Piedmont lake area with her husband, Jody, and their two dogs, Tootsie and Willow. Jamie is from Jacobsburg, Ohio and graduated from Union Local High School. She joined our office in 2017 after being a Veterinary Tech for 9 years. Jamie is a professional barrel racer and enjoys competing in rodeos. Together with her husband Allen, they raise bucking bulls for rodeos, beef cattle, chickens and operate a horse boarding facility. Jamie resides in St. Clairsville with her husband and dogs Addie, Cinch, and Trip. Carlie grew up in Hopedale, Ohio. She graduated from Ohio Valley College of Technology in Calcutta, Ohio in December 2015. She recently joined the Family Dentistry team in July of 2017 and really enjoys working with the staff. She also enjoys spending time with her family and her husband. They now reside in Bloomingdale, Ohio. Marie is from Columbus, Ohio, and received her Bachelor’s Degree from Otterbein University in 2004. 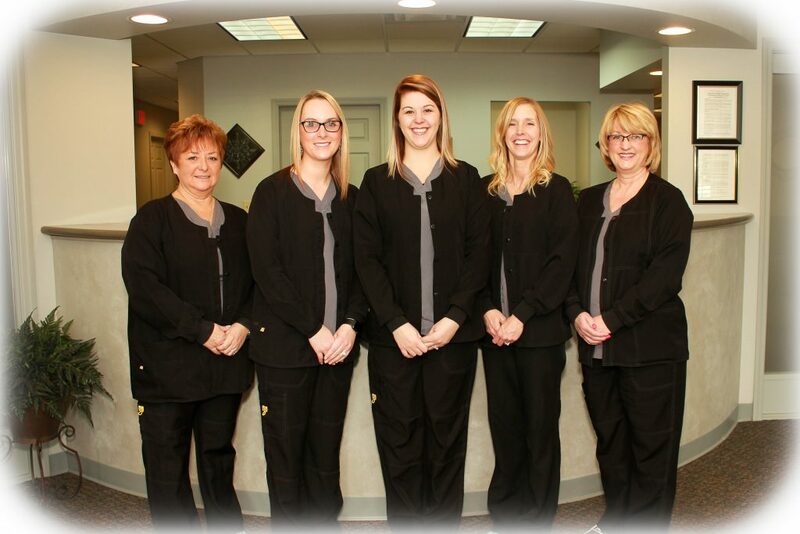 Marie began assisting in 2009 for a Columbus endodontist and later assisted for a pedodontist. In 2011, Marie moved to the Ohio Valley with her husband, Jack and continued dental assisting in Wheeling until taking time off when her daughter Maya was born. Today Marie works for Family Dentistry as a part time dental assistant and spends the remaining time with her daughter. Lisa lives in Stewartsville, Ohio with her two sons Jacob and Noah. 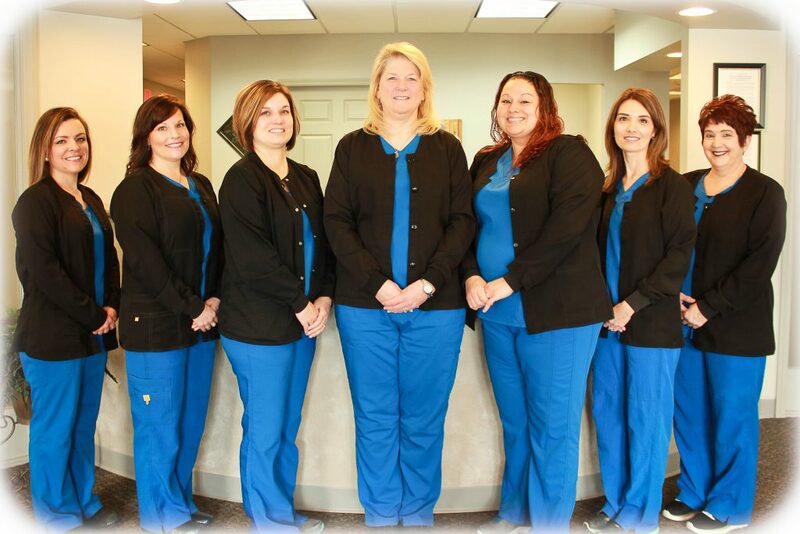 Lisa has made dental assisting a career of 33 years, 17 being with Family Dentistry. Lisa says it is, ‘truly my second ‘Family’.